A unique community of traditional Charleston-style homes along Prince Creek, Creekhaven homes in Murrells Inlet offer the very best in fine Carolina coastal living. Whether looking for a vacation home, retirement home or primary home for a growing family, these 3- and 4-bedroom designs range from just under 1,300 to almost 3,100 square feet in size. They are priced to sell at $170,000 to $250,000. Homes feature spacious designs, a community park, gourmet kitchens, screened porches, walk-in closets, custom cabinetry, deluxe master baths and much more. 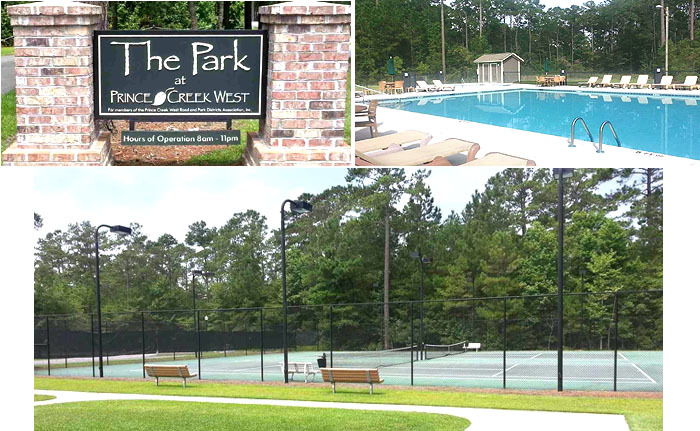 Home sites back up to naturally wooded landscaped areas and ponds, and the community features a 41-acre gated park that includes two pools, tennis courts, covered picnic pavilion and more. With lush landscaping of lakes, ponds, cypress, pines and oaks, the community is home to a variety of wildlife including swans, otters, great blue herons and more. And while it's a community in sync with its natural surroundings, it’s also just a short drive to shopping, dining, schools and all variety of professional services. Nearby is some of the best seafood to be found anywhere on the East Coast in the top restaurants of Murrells Inlet. Also nearby is great fun for the whole family in the fishing, beachcombing, swimming and educational opportunities of Huntington Beach State Park as well as the natural beauty of the formal gardens at Brookgreen Gardens, which is also home to one of the country’s largest sculpture gardens with more than 1,400 works. Murrells Inlet also has the wonderful new boardwalk behind the restaurants, offering all manner of musicians and entertainment during the season. At Century 21 The Harrelson Group, we'd be honored to be your guide to the good life waiting for you along South Carolina coast. 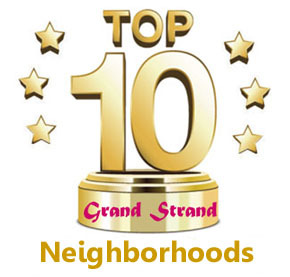 Call us today to learn more about the homes at Creekhaven, Prince Creek, and many other great coastal properties.